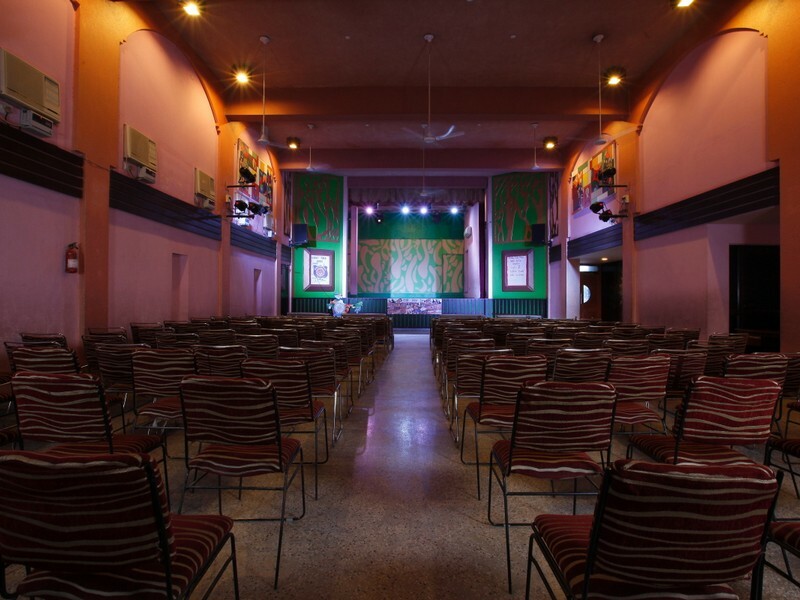 The auditorium has been designed and acoustically tuned for catering to a wide variety of demanding needs of theatrical events, music concerts, workshops etc. 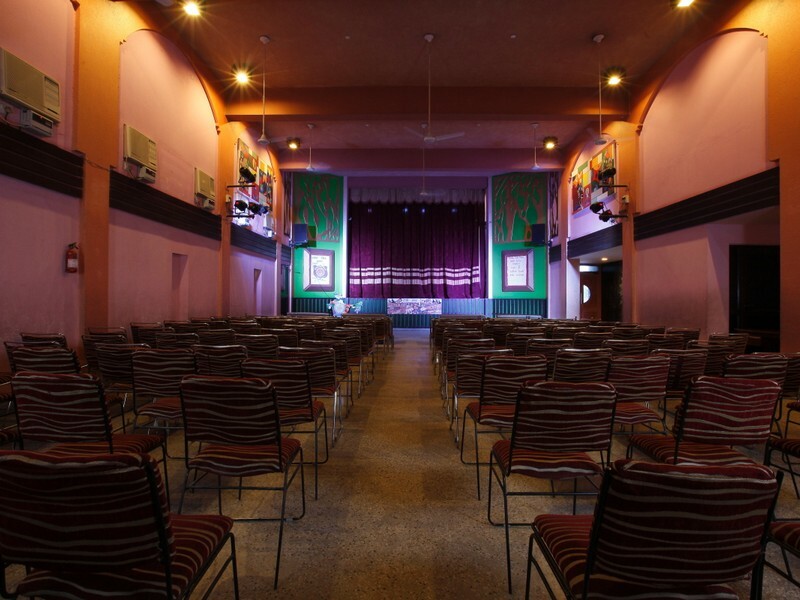 It also has a projection system that can be used for presentations, movies and light effects for theatrical shows.A state of the art sound system and stage lighting is controlled from a control room that is acoustically coupled to the auditorium, ensuring that real time accurate control can be provided to create a delicate blend. A lighting system that is a combination of new state of the art LED lights and Halogens providing the warmth, speed, flexibility and infinite colour combinations.